Everyone has heard the old saying “Good Cop, Bad Cop? Well meet Funny Cop, Dwayne Gill. As a professional stand-up comedian known for his engaging personality and stage presence, he can be depended on to serve up laughter wherever he appears. And when it comes to protecting, it’s not your funny bone he’s worried about - it’s the citizens of Michigan, since he’s also a cop! Feeling his job requirements were a bit too serious for someone considered funny since birth; Dwayne found an outlet for his humor when he first stepped onto a comedy stage in 1993. To say he was well received would only serve to protect the audience from what really happened. They went crazy with laughter. After only two more performances, he joined the ranks of professional comedians with his first paid booking at Gadzooks Comedy Club. “Right then I knew comedy was what I was here on earth for,” he laughs. “And I’d much rather take laughter than a bullet any time.” Dwayne’s topics range from current events, men and women relationships to the crazy situations he’s encountered as a police officer. His show has pleased comedy club audiences and corporate functions all over the country. He made his television debut on NBC’s syndicated talk show “Night Shift with Kevin Ferguson”, has appeared on Last Comic Standing, and a guest on the “Bob and Tom” nationally syndicated Radio/TV show. 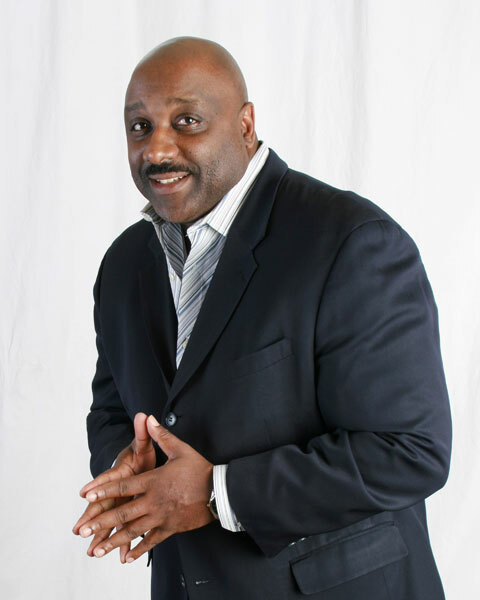 He has shared the stage with well-known comedians like Louie Anderson, Rocky Laporte, Greg Giraldo, and Last Comic Standing’s John Heffron, Alonzo Bodden and Rich Vos. Dwayne Gill is one of the fastest rising comics on the national scene today. Dwayne has appeared at Caroline’s Comedy Club in New York City, The Comedy Connection in Boston and The Comedy Castle in Detroit just to name a few. He is also a very popular corporate comic, whose clean show can be tailored to fit any event. So if you have never met a cop with a sense of humor, then it’s obvious you haven’t met Dwayne!